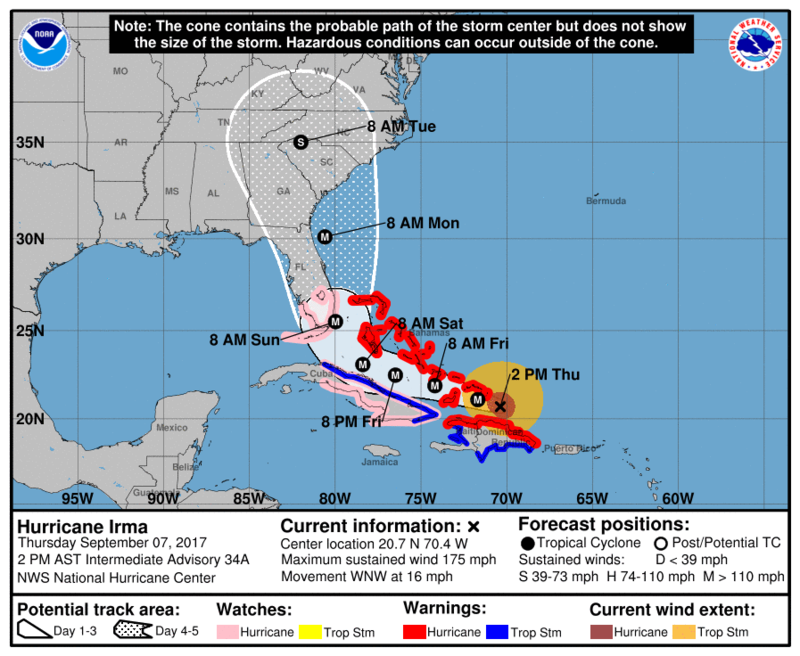 Hurricane Irma is still holding at a Category 5 status…She is maintaining remarkable strength and may regain some before making her first landfall either in Florida, Georgia or South Carolina. Touch and go situation with this storm but make sure you have a plan in place should Irma visit your area. Impacts will be felt from Florida to North Carolina with this storm…For more in-depth details and updates sent to your email, please sign-up below. For a limited time you can save $2.00 per month off the regular member rate (Regularly $5.99). Join today and get locked in for a yearly savings of $24.00…Sign-Up Today!! !